Home » content marketing » marketing » media » social media » How different is social media for B2B? I've heard so often that B2B marketers feel they really don't need social media, or that social media for B2B is a different game from social that's built for the B2C sector. First of all, just because you are in B2B doesn't mean that a human being is not involved. Logos don't talk to logos, products don't sell themselves to products, people do. And that's where social comes in. 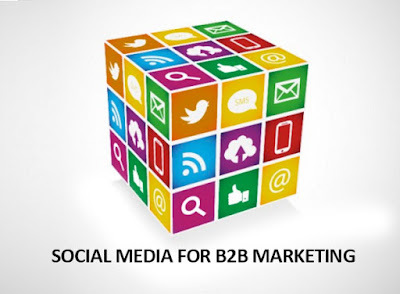 Secondly, B2B is really more about reputation, about building relationships, trust and understanding, and that makes it a genuine case for focused social media as part of the marketing mix. Social media strategy for a B2B brand or company isn't hugely different fro a B2C brand's. Sure, the execution layers may be different, the channels different and focused on a much tighter audience, but overall, from a base strategy perspective, it is very similar. The channels are obviously different. LinkedIn pops up as a great starting point. YouTube with relevant business focused, solutions videos would be great too. Twitter also plays an important role, because with hashtags, content can be made easy to find and in the now. Discussion forums, groups and vertical specific blogs are key as well. And, yes, Facebook is also a player. But not in the"see what's cool at our company" sort of a way. Regardless, one really has to focus on thought leadership, story telling (yes, story telling) and really tightly focused communications. Need to stress here that, particularly for the B2B segment, content becomes even more important than it would be for B2C marketing, and in this case the content is focused, tightly relevant, and more purpose driven. White papers, blogs created specifically addressing target audiences in the B2B segment that's relevant to your particular product or service, case studies, webinars, infographics across various media, how-to videos are all important. Social media for B2B may work better if they are able to drive audiences to a more specific point of communication such as a website. So, driving traffic may be a key goal in that scenario. In conclusion, some of the key benefits of social media for B2B are increased exposure to the right audiences, increased traffic to a destination website, lead generation, gathering insights, creating a tight and loyal fan base, growing and building partnerships, and improving sales. Tell me, those are hugely different from social media goals for B2C companies. Really?